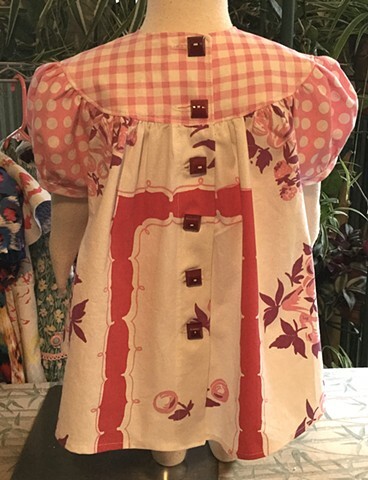 Traditional plump-baby toddler dress, made from smooth and soft up cycled tablecloth with cherries and plums, complimented by gingham and dots, all in shades of raspberry, pink, white and purple. 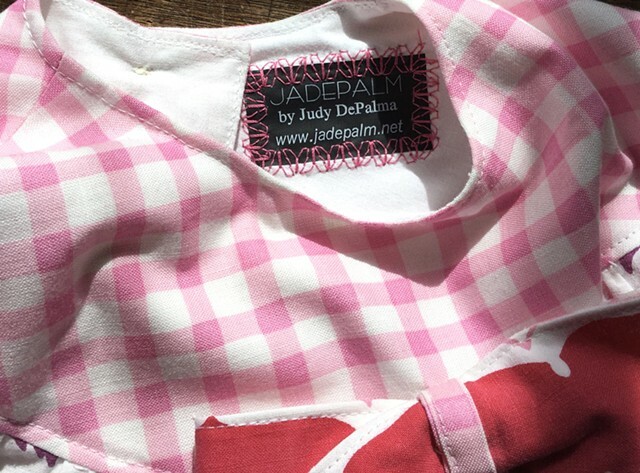 Very full skirt falling from curved yoke, puff sleeves with contrasting band, closes down the back with six unusual maroon buttons that are square and rounded at the same time. 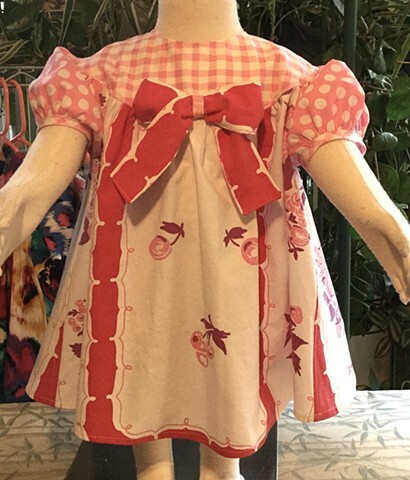 Size Toddler (1-2 year old), measures 28” armpit to armpit and 17” shoulder to hem, giant red bow created from tablecloth edge at center front100% cotton, made by the designer herself and shipped free to any address in the U.S. $50, 100% cotton, made by the designer herself and shipped free to any address in the U.S.